Even after leaving Malaysia for more than a year already, i still read Malaysian news now and then to keep myself updated about happenings in my home country. Other than that, the Malaysian news also happen to be one of the best entertainment you can ever find in the world. Mainly because we have politicians fighting like small kids everyday over small petty issues. Much like desperate housewives. Take the latest hot news for example, involving one headmistress named Siti Inshah, from Johor. The story goes that one fine morning in the school she's teaching in, she decided to call the Chinese who were not fasting together with the Malays to go back to China. Her reason being that they fail to observe that other Malays were fasting at the same time and the act of eating in front of them is disrespectful. Of course, instead of doing it quietly, she decided to blast them during assembly. And that's were the exciting part starts. As expected, the politicians picked up this story faster than the speed of light and over sensationalize it as if Britney is going to shave her hair off again. Before you knew it, the whole issue is turned into a your rights versus our rights thing. There would be uproars from groups claiming to "represent" a certain race and there would be this demand, that demand. And people from different groups will fight each other out, criticizing each other and viewing each other in an even worse way. As far as i can see it, the people who take this issue as a defending our own rights battle would be playing directly into the politicians' hands. It's very sad to note that even after more than 50 years of independence, most of the so called Malaysians still think along racial lines. I'm Chinese, you're Malay and he is Indian and we are all different. So different in fact, that it prevents us from looking at the big picture and identifying each other as Malaysians. The Malays, for example, think that the Chinese are out to get them and their country. Thanks to many years of propaganda, issues such as the special rights and the bumiputera status have became very sensitive to discuss. To the Malays, Chinese is seemed as cruel, demanding and disrespectful to the customs. Chinese are routinely treated with suspicion and contempt. Heck, some radical Malays even equate the Chinese to the Jews and Malays to the Palestinians. And like the Jews, the Chinese are in Malaysia to take away the country from the Malays, so it's not surprising that some of them think of it as a battle to protect the homeland. The Chinese on the other hand, are not that better off either. To them, Malays are just a group of people who cannot survive without the bumiputera rights accorded to them. And the result that comes with that type of thinking would be the Chinese looking down on the Malays, thinking that they are more superior and higher class as compared to the Malays. As Chinese, we need to stick together or the Malays will trample on all our rights. Yeah, right. By the end of the day, prejudice rules and we ended up hating each other even more. Til when must we continue bickering over these "rights" issue? Til when must we focus on the differences between each other rather than what we have in common? Til when only we'll learn to let go of our prejudice and stereotype and start to view each other in a more positive light? 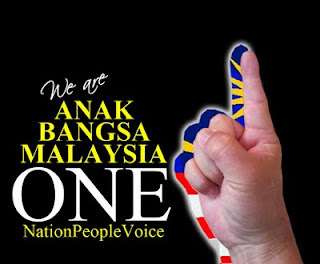 I believe that Tun Onn Jaafar were thinking about all these when he asked for UMNO's membership to be opened to all and later when he formed Independence of Malaya Party (IMP). He was thinking of a Malaysia for all, not just for the Malays, nor Chinese, nor Indians but instead for all of us. And i believe that that is one of the best ideas anyone in Malaysia has ever had since independence. 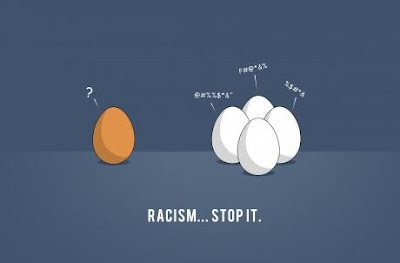 Stop seeing Malaysia through a racial or even a religious tinted glasses but instead choose to accept each other as brothers and sisters sharing the same country, the same culture and the same background. It's not to late to realize Tun Onn's dreams, because i believe that deep down, all of us are tired of this racial infighting and want to see a more united Malaysia. We can, if we want to, as long as we're prepared to put down all the prejudice that has been passed down unto us from our parents, media or school aside, and accept each other for who we are. 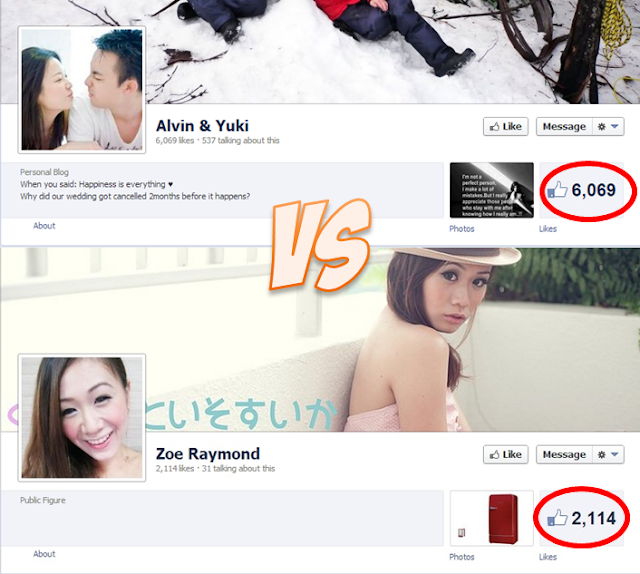 P/s: Of course, with the rise of new technology, i think this is an ever better time to unite us all. 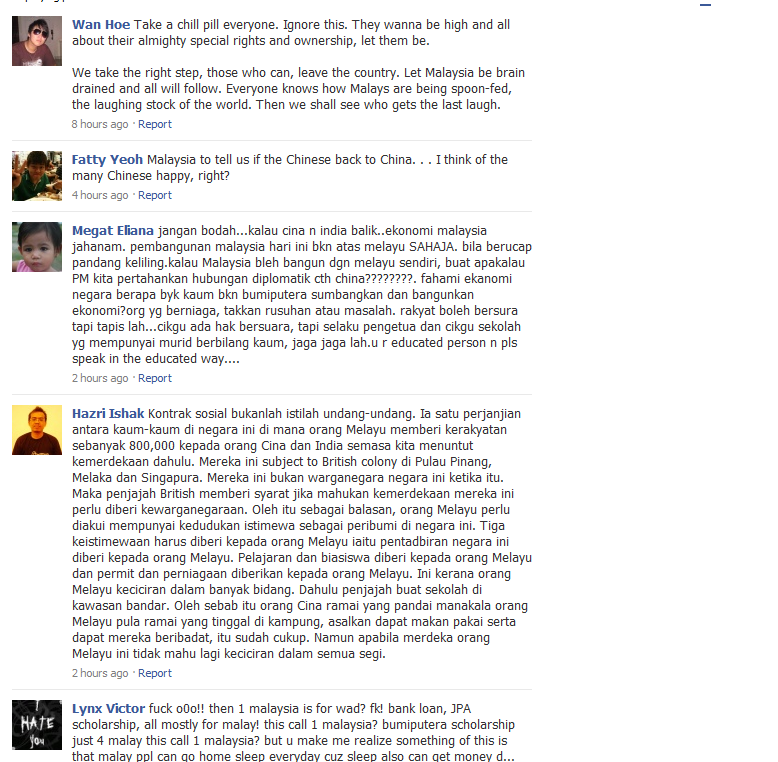 From what i see in Facebook, discussions about the Siti Inshah case are in full swing. And hopefully with debates and exchange of ideas, though not all of them friendly, we would come to understand each other more beyond what we are led to believe. Perhaps a new generation of Malaysians would spring up thanks these advances in technology that the government is still yet to control. Go Facebook!